It’s Wonnetzeit, the time of joy, as we celebrate Frau Holle’s return from the Wild Hunt. 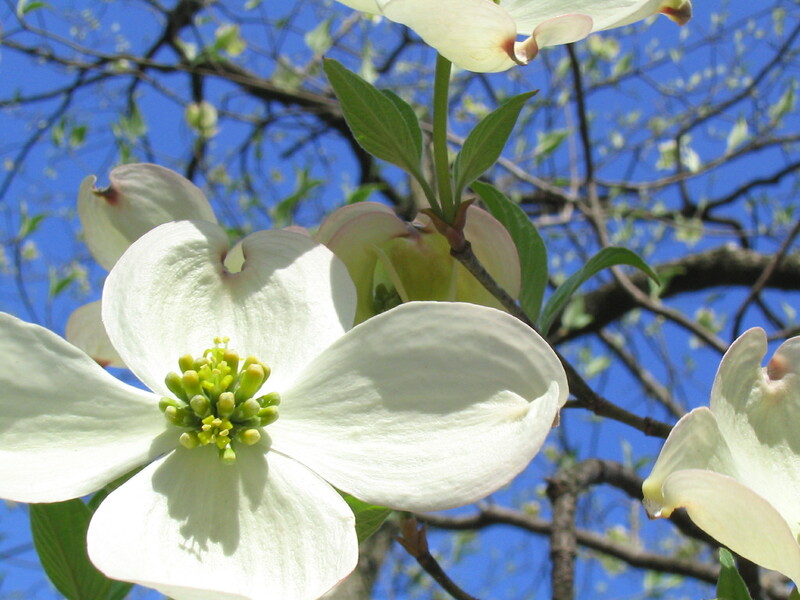 As I drive over the hills and past the farms in my area, I see bursts of dandelions, and dogwoods in full bloom dotting almost every wooded hillside. I feel the exuberance of their blooms, the sunlight filling my chest and making me want to go run and play on the nearest grassy hill. As the wisdom of the Urglaawe cycles of the year continues to work its magic in my day to day life, I find myself more on track than I’ve been in years. My goals and my progress towards them seem to be synchronizing perfectly with the changing seasons, and I have found good things coming into my life and ramping up as the days get brighter, longer, and warmer, and we enter into the growing season. I’m busier than I’ve been in a long time, but that’s a really good thing. Then comes the Wonnetzeit, the joy and celebration. The balance to all the hard work. It’s time to make a point of enjoying the things we love most, celebrating our achievements thus far, taking delight in the world around us–in this religion, a living sacred place worthy of love, and not some kind of prison for the soul. I find myself yearning for more time outdoors and more time spent on fiber art. As the weather gets nicer, and my workload gets heavier, I am finding it harder to concentrate. I’ve been trying to balance big projects with fun little rewards for myself, like plushies, new thread to make things with, and a rapidly-growing Super Mario Run addiction. The warm weather and thoughts of happy times have been giving me a craving for picnic foods. I love burgers and hotdogs, sandwiches, Italian pasta salad, baked beans, pickled eggs with beets (a Deitsch favorite! ), and creamed lettuce (another Deitsch yum!) with fresh fruits, chips, pretzels, and French onion dip. 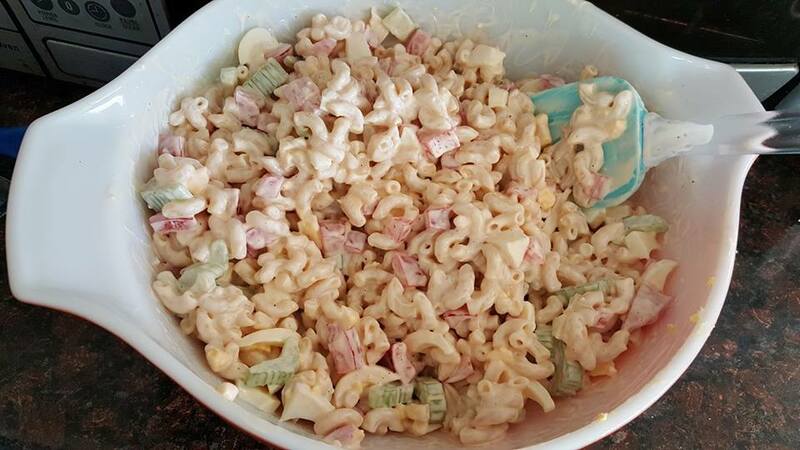 I also love macaroni salad. There’s no beating that creamy, tangy, sweet sauce over noodles, eggs, and crunchy veggies. Combine noodles, peppers, and celery in a large mixing bowl. Set aside. In a small mixing bowl, whisk together all dressing ingredients. Pour dressing over salad and mix well. Fold in chopped eggs. Cover and chill. You can easily see some symbolism in this meal if you think of the fertility this season is known for, and the bright colors and flavors that represent the returning light and warmth that Holle brings with Her as She returns from the Wild Hunt. I love using my kitchen tools, like my special mixing bowls that were handed down to me from my great grandmother, and my sassy rosewood handled whisk. (No, seriously, blessed tools get a dose of personality!) The cooking is therapeutic, and eating favorite foods reminds me of happy times with people I love. I hope you enjoy this recipe and have a lovely time celebrating Holle’s return and the beginning of the bright half of the year. Blessings! ← Happy First Crocus Day 2017! Great post! Thanks for the recipe! You’ve got my follow. Check out my comedy blog and give it a follow if you like it!